The first cat cafe in the South hopes to open its doors near Horseshoe Common in Bournemouth. Local woman, Jaya Da Costa, is crowdfunding £25,000 to open Pause Cat Cafe, where people can book to spend time with cats while enjoying healthy, locally-sourced, ethical food and drink. The indiegogo campaign will run throughout November, and if the target is reached, the cafe will become a reality later this year. 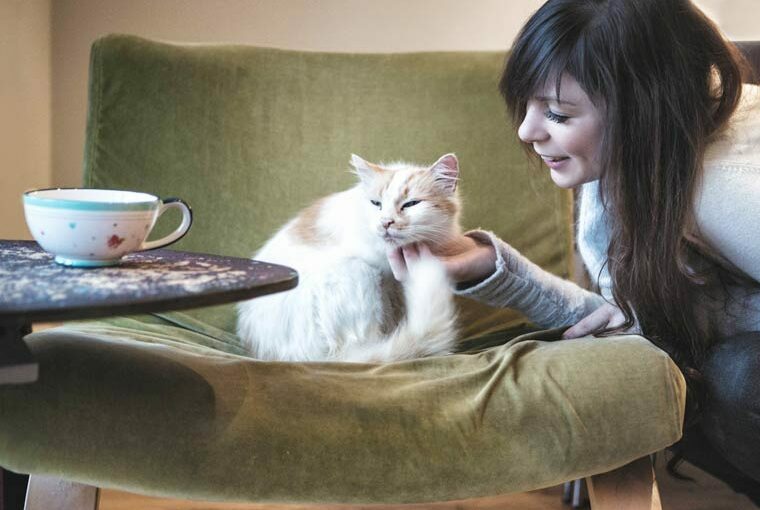 There are currently nine cat cafes in the UK, the closest being in London. They started in Taiwan in 1998 and have become popular all over the world for people who can’t have their own pets or just enjoy spending time with cats. Jaya grew up in Bournemouth and has worked and volunteered in charities for 13 years, helping the community here and in Africa. She wants to bring the community ethos to the cafe by creating a kind and ethical environment that helps people and animals and celebrates the bonds between them. Pause Cat Cafe’s first priority is the perfect environment for the cats. Cat cafes are not yet regulated in the UK so a lot of research has gone into creating policies and procedures to make Pause a benchmark for animal welfare standards. Advice has been sought from a number of leading welfare experts, animal charities and academics in the field as well as working closely with the local council animal welfare and environmental health departments. Jaya says she hopes to have 12 cats at the cafe, which is spread over two floors, and all will be rescue cats. The premises will be kept clean and hygienic. Some examples of this include preparing food off-site and serving it in sealed containers, different cat care and food handling staff, and frequent and thorough cleaning procedures. The crowdfunding target of £25,000 is to provide the best possible home for the cats; including microchip activated areas where individual cats can have alone time, exercise equipment, an isolated health care unit, vet and animal behaviourist fees and a CCTV system to monitor the cats at all times. The cafe has already seen support from businesses and celebrities including Celia Sawyer, Goldie, Lineup Media, Bournemouth University, Mercedes-Benz of Poole, D-Zine Lounge and Lacey’s Solicitors with people offering services and support to get the project off the ground. You can support the project via the indiegogo page, where you can also register to be one of the first guests in the cafe: https://igg.me/at/pausecatcafe.